This feature enables you to replace a catalog record with a record obtained through a Z39.50 search. No new permissions or administrative settings are needed to use this feature. 2) Select at least one Service in addition to the Local Catalog in the Service and Credentials window in the top right panel. 3) Enter search terms in the Query window in the top left panel. 5) The results will appear in the lower window. 6) Select the record in the local catalog that you wish to overlay. 8) A confirmation message appears. Click OK.
9) Select the record that you want to replace the existing catalog record. 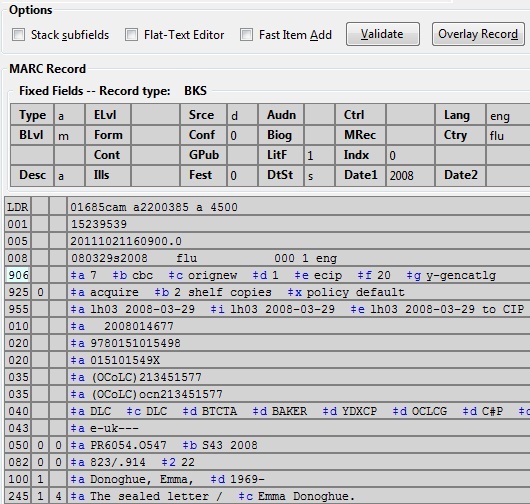 11) The record that you selected will open in the MARC Editor. Make any desired changes to the record, and click Overlay Record. 12) The catalog record that you want to overlay will appear in a new window. 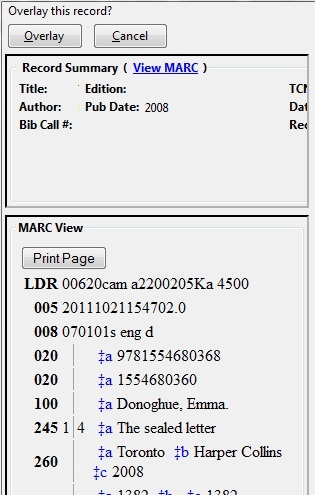 Review the MARC record to verify that you are overlaying the correct catalog record. 13) If the correct record appears, click Overlay. 14) A confirmation message will appear to confirm that you have overlaid the record. 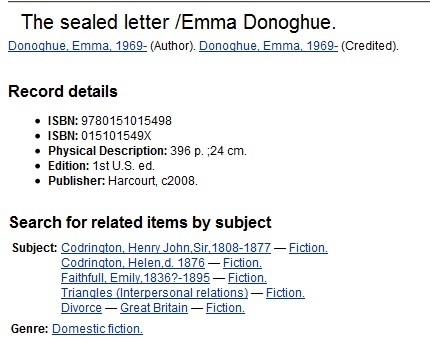 Click Ok.
15) The screen will refresh in the OPAC View to show that the record has been overlaid.